MLW Series - Interior Wall Pack - Signtex Lighting Inc.
At only 5” x 5” in width and height and 2” profile depth, this unit is the smallest emergency wall pack available. It has high lighting output, allowing fixture spacing up to 45 ft for 1Fc average illumination along the path of egress. The all-aluminum construction can be custom finished to match any interior. 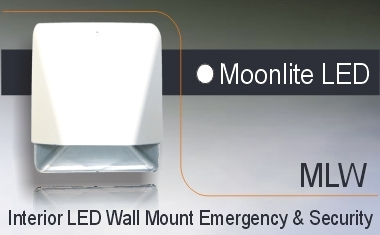 The smallest wall mount emergency light available: overall size 5” x 5” with 2” profile height. Sturdy aluminum housing and molded polycarbonate lens. Custom finishes available, including brushed aluminum or other anodized finishes. Standard (2 Lamp) and High Power (3 lamp) models available. 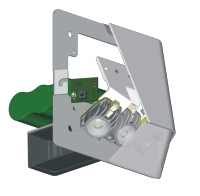 Provides 1 Fc average emergency lighting along the path of egress from standard ceiling heights, with spacing up to 35 ft.